Some may not know, but we used to be called The Storage Bed Company. Our rebrand to Furl came because we had so much more to offer you. But of course specialising in Storage Beds for so long means we are always trying to create new ones. Testing different styles and different depths. We have found that size isn’t always everything though. Quite often our customers are looking for style as well as substance. So here is a low storage bed, that looks super cute, but still has a really decent amount of storage. Enough for a cabin sized suitcase actually. This bed came about by chance really and was just too good not to share. We actually weren’t designing it, it just fell into our range! But it just looked so unbelievably cute, we measured the storage and ta da! Say hello to the ‘Low’ Bed, with a whole 22cm of storage. I couldn’t quite believe it has 22cm of storage either. Just like all of our other beds, this one is available in wood, fabric or leather. You decide. It can also come with and without a mattress and with and without a headboard. You decide. We also make cute little two drawer side tables to match. 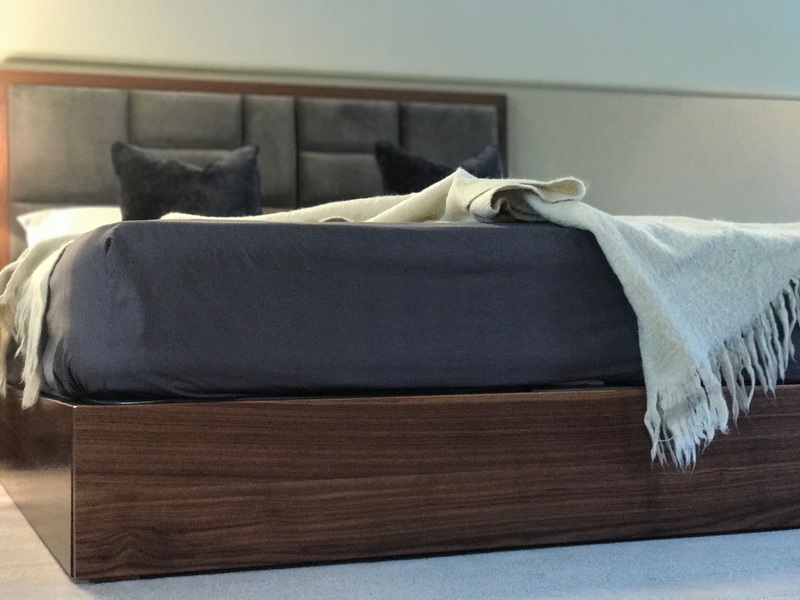 But perhaps you prefer fabric beds, so we have come up with an option for these to match too – the drawer front can be in the same fabric as the bed. Of course these are an option and again, you decide if you would like to add them or not. 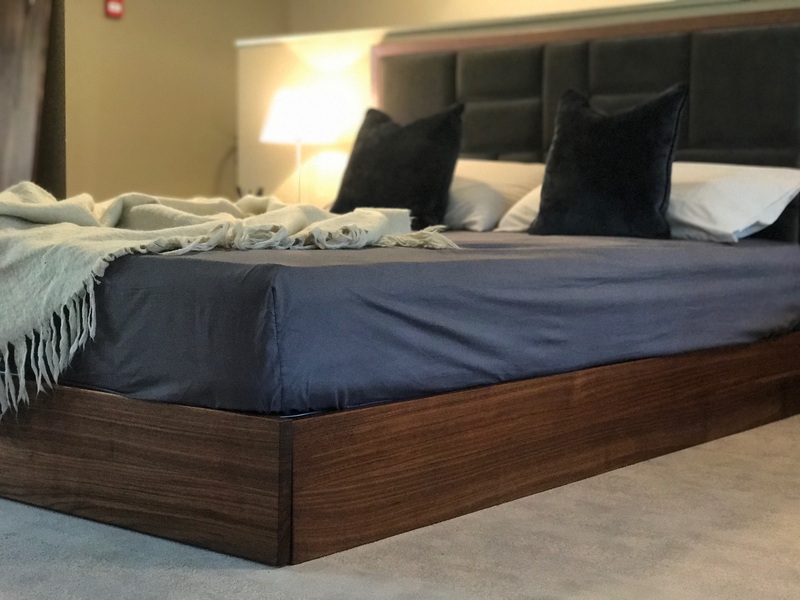 What do you think of our Low Storage Bed? So what do you think to ‘low’? Would it suit your room? Low beds are becoming much more common in contemporary interiors. If your not too keen on the modern style, here is how to style your bedroom more elegantly. 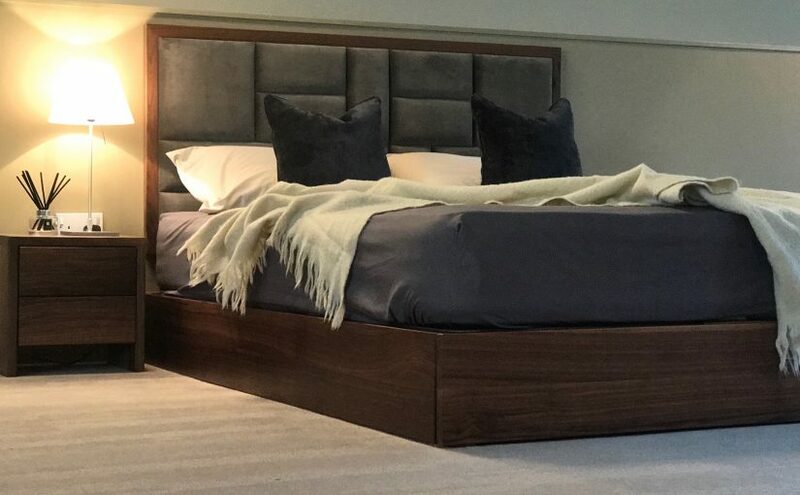 A low storage bed would also work brilliantly well within this this Elegant Lux style. Next Next post: Low’ds of Storage..why we can’t stop talking about it.